Transport in Spain is characterised by an extensive network of roads, railways, rapid transit, air routes, and ports. Its geographic location makes it an important link between Europe, Africa, and the New World. Major forms of transit generally radiate from the capital, Madrid, located in the centre of the country, to link with the capitals of the autonomous communities. 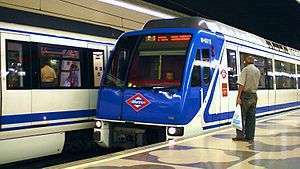 Spanish transit is marked by a high degree of integration between its long distance railway system and inner-city metro systems, although the historic use of broad gauge has limited integration with its neighbours. 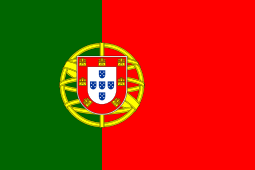 Spain is currently working to increase and improve linkage with the rail systems of France and Portugal, including high-speed rail between Madrid and Lisbon. Spain possesses a highly developed highway system, with both tolled and freeways. 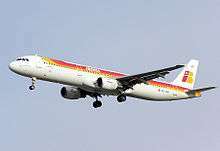 Air traffic is routed through several international and regional airports, the largest of which is Barajas International Airport in Madrid. Ferry services operate regular routes to many ports on the North African shore, as well as the autonomous communities and cities of the Balearic Islands, the Canary Islands, Ceuta, and Melilla. 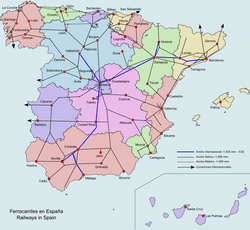 Most railways are operated by RENFE; narrow gauge lines are operated by FEVE and other carriers in individual autonomous communities. It is proposed to build or convert more standard gauge lines, including some dual gauging of broad gauge lines, especially where these lines link to adjacent countries. A high-speed rail line (AVE) between Madrid and Seville was completed in 1992. 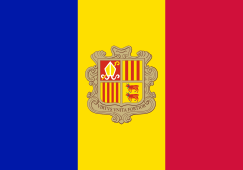 In 2003, high-speed service was inaugurated on a new line from Madrid to Lleida and extended to Barcelona in 2008. The same year, lines from Madrid to Valladolid and from Córdoba to Málaga were inaugurated. In 2010, AVE line Madrid-Cuenca-Valencia was inaugurated. Castellon under construction. Estimated inauguration 2013. Granada (Granada Tram) under construction. Jaén (Jaén Tram) finished without service by political reason. Málaga (Málaga Metro) under construction. Murcia (Murcia Tram) opened in 2011. Santa Cruz de Tenerife opened in 2007. Zaragoza (Zaragoza Tram) opened in 2011. 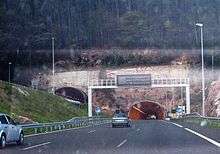 In December 2003, Morocco and Spain agreed to explore the construction of an undersea rail tunnel across the Strait of Gibraltar, to connect their rail systems. The AVE is a mean of transport the world's fastest 300/360 km per h. AVE (The high velocity in Spain). Alta Velocidad Española (AVE) is a service of high-speed rail in Spain operated by Renfe, the Spanish national railway company, at speeds of up to 310 km/h (193 mph). The name is literally translated from Spanish "Alta Velocidad Españolas" (Spanish High Speed), but its initials are also a play on the word ave, meaning "bird". As of December 2011, the Spanish AVE system is the longest HSR network in Europe with 2,665 km (1,656 mi) and the second in the world, after China. AVE trains run on a network of dedicated high-speed rail track owned and managed by Adif. The first line was opened in 1992, connecting the cities of Madrid, Córdoba and Sevilla. Unlike the rest of the Spanish broad gauge network, the AVE uses standard gauge, permitting direct connections outside Spain. Although AVE trains are operated by Renfe, the Spanish state railway company, private companies may be allowed to operate trains in the future using other brands, in accordance with European Union legislation. Some TGV-derived trains do run on the broad-gauge network at slower speeds, and these are branded separately as Euromed. On the line from Madrid to Seville, the service guarantees arrival within five minutes of the advertised time, and offers a full refund if the train is delayed further, although only 0.16% of trains have been so. In this regard, the punctuality of the AVE is exceptional compared to other non-long-distance RENFE services. On other AVE lines, this punctuality promise is more lax (15 minutes on the Barcelona line). A possible reason for this is that AVE services slow down to 200 km/h for the Sierra Morena section of the journey, because of the tight curves, and 250 km/h for the Córdoba-Seville section, possibly on account of medium-speed services running on the line, meaning that they have an easy means of recovering lost time if held up earlier in the journey. The current vehicle registration plate design. A-67. Autovía de la Meseta (the Meseta Freeway) in Cantabria. The first-class motorways in Spain are called autopistas and autovías. There are also many national roads. There are 1,045 km of water ways, but they have minor economic importance. The most important port and harbours are Algeciras, Barcelona, Valencia and Bilbao others: Cádiz, Cartagena, Ceuta, Huelva, A Coruña, Las Palmas, Málaga, Melilla, Gijón, Palma de Mallorca, Saguntum, Santa Cruz de Tenerife, Los Cristianos (Tenerife), Santander, Tarragona, Vigo, Motril, Almería, Seville, Castellón de la Plana, Alicante, Pasaia, Avilés, and Ferrol. Main airports are Madrid, Barcelona, Palma de Mallorca, Málaga, Gran Canaria, Alicante and Tenerife South. In 2009, there were 298 heliports. ↑ BBC News "Europe-Africa rail tunnel agreed"